It allows you the same approach of a traditional barista. You need just a jug of fresh milk and press the steam function. It takes a bit of practice, but once perfected, delivers ultimate control and delicious thick, creamy texture of the milk. Each drink can be fully customized and you can store your preferred settings per coffee for future brews, such as strength, temperature and length. It is the heart of the machine. It replicates the actions of a barista in an automatic mechanism. An ideal dose of coffee is tamped into a neatly compressed puck and it allows hot water to run through the puck at a suitable pressure for a great coffee. Anima is equipped with a robust 100% ceramic grinder that turns beans into a fine powder and extracts maximum flavours, without ever tasting burnt. It has 5 different settings of grind that grant you the finest grind for a full-bodied espresso or a coarser grind for a lighter tasting coffee. You can select and memorize the amount of coffee required for your perfect Espresso: 5 options available, from 6.5 to 11.5 grams, to adjust the coffee strength to your taste. Pumps the water through the ground coffee at high pressure to ensure better-tasting crema-topped espressos. This allows you to brew a different blend of coffee without changing the beans but using the ground coffee selected. Few seconds of pause between the first shower of hot water and the brewing process moisturises the coffee grounds, extracting the full bouquet of aromas, giving your Espresso a unique body and taste. 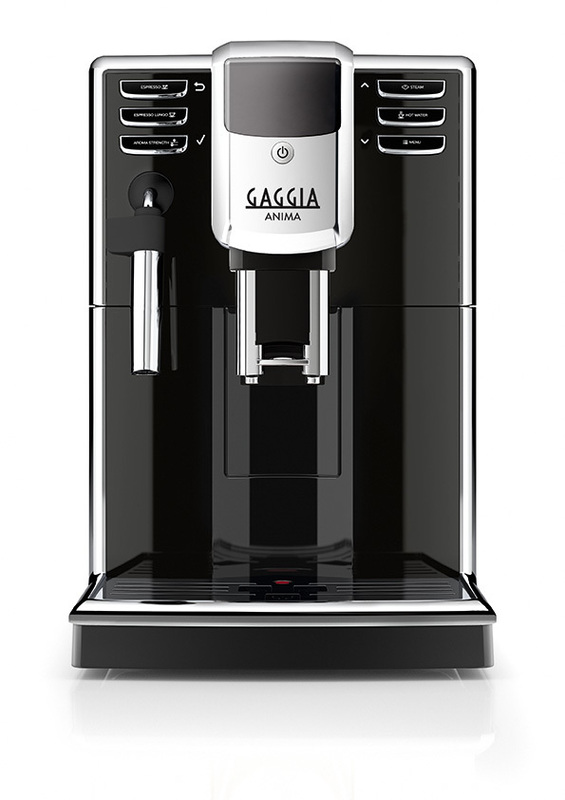 The innovative technology of the Gaggia Adapting System adjusts the grinding process, making sure the selected quantity of ground coffee is used for your espresso, whatever blend you choose. Just like a professional barista.